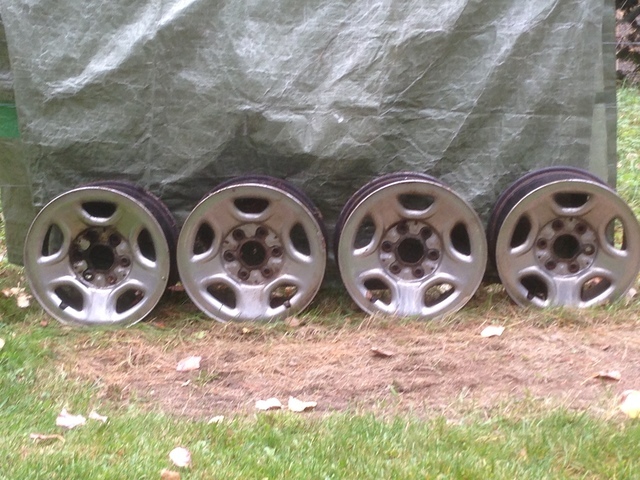 A set of 4 GMC/Chevrolet steel truck wheels. 6 bolt for a half ton. May fit other vehicles.